Vietnam's first and only SwimRun. 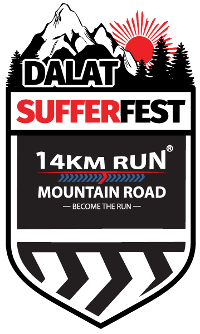 A team-race based on two persons travelling through nature and time is the SufferFest™ most intimate challenge. Teammates are completely dependent of each other. The team alternates between running and swimming along a pre-marked course in natural Tuyen Lam lake. As a team you race within 10 metres of each other, you share the experience, the fun, and the beauty. SwimRun is emotion.